Our bathroom tiling services are one of the most common jobs we do across Kent. Our bathroom tiling services can completely transform the look of your entire bathroom. The style of the tile chosen is essential as it’s going to give a look and feel you want in your bathroom. We can offer advice on the tiles used, so they suit the style you want and tie in with the look and feel of the building. We always take great pride in every tile installation and design, giving high attention to detail; you will not end up with wonky, cracked, and unprofessional looking tiles. Our tile installation will be built to last. Installing the tiles yourself is an option, BUT unless you’re a professional, this can take a lot of your precious time. All Division Building aims to make the process as fast and stress-free as possible, leaving you with a professional looking bathroom that you love. All you have to do is choose us to take care of your bathroom tiling and make the process as simple as possible. With All Division Building LTD at your service, you get specialist installation services that will not be beaten. 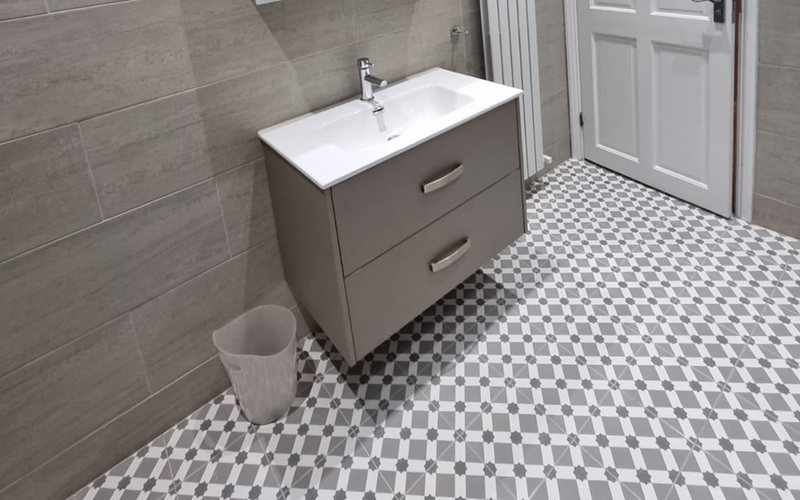 Each bathroom is different, so depending on the size, style and materials you would like to use the price will vary, this is why we offer a free no obligation survey where we measure the bathroom and offer advice. With our specialist tiling design service, we can take care of your bathroom tiling and so much more on top of this. We offer a full range of colours including Patterned & decorated, blue & purple, green, red, white, yellow, black, grey, cream & neutral, orange & terracotta, metallic & iridescent, brown, aqua & turquoise. We have styles to suit almost any property, these include, Retro Metro, fenlands, stone lustre, glass mosaic, oyster mosaic, liquid glass, geometric and many more. If you need incredible bathroom tile design and installation service the team will be happy to advise you this way too. We cover all the surrounding areas in Kent including Welling, Bexley, Bexleyheath, Ashford, Canterbury, Maidstone, Rochester, Tunbridge Wells, Sevenoaks, Dartford, Gravesham, Tonbridge, Medway, Swale, Canterbury, Shepway & Dover. Don’t put your bathroom into the hands of the amateurs when All Division Building LTD are here for you.